Below you can view all the highrises for sale in the Buckhead Village Lofts subdivision located in Atlanta Georgia. 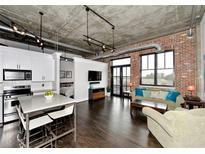 Listings in Buckhead Village Lofts are updated daily from data we receive from the Atlanta multiple listing service. To learn more about any of these highrises or to receive custom notifications when a new property is listed for sale in Buckhead Village Lofts, give us a call at 404-998-4063. 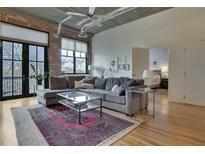 This Unit Features Rare 2 Separate Parking Spaces A Storage Unit 24/7 Concierge Gym & Dog Park. MLS#6537890. Chapman Hall Realtors. Sophisticated And Elegant Total Renovation In The Heart Of Buckhead.This Condo Is Within Walking Distance To Buckhead Atlanta,Whole Foods,The Atlanta History Center, And Numerous Restaurants And Shopping Options.It Features An Incredible Marble Chef'S Kitchen With Stainless Appliances,Sub-Zero Refrigerator, And Induction Cook Top.There Is Whole House Automation That Runs The Lights, Security, Electric Blinds, And Sonos Sound System.There Are Dark Hardwoods Throughout And 2 Balconies With Skyline Views.This Incredible Renovation Has Every Luxury Detail You Would Expect! MLS#6522788. Harry Norman Realtors. 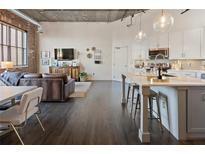 Unit Comes With A Covered Parking Space, Storage Unit, 24 Hour Concierge And Fabulous Amenities! MLS#6521133. Ansley Atlanta Real Estate, Llc. Just A Short Walk To Restaurants, Shops And Dining! MLS#6518333. Keller Williams Rlty, First Atlanta. 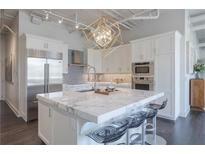 2 Parking Spaces & Move In Ready With A 24/7 Concierge, Fantastic Amenities And Seconds To Shopping And Restaurants! MLS#6501613. Ansley Atlanta Real Estate, Llc.